Special Delivery Due Organic Cotton Canvas Bag. The perfect tote for the parents to be! Proudly part of the Imattination Pregnant & Proud Collection. 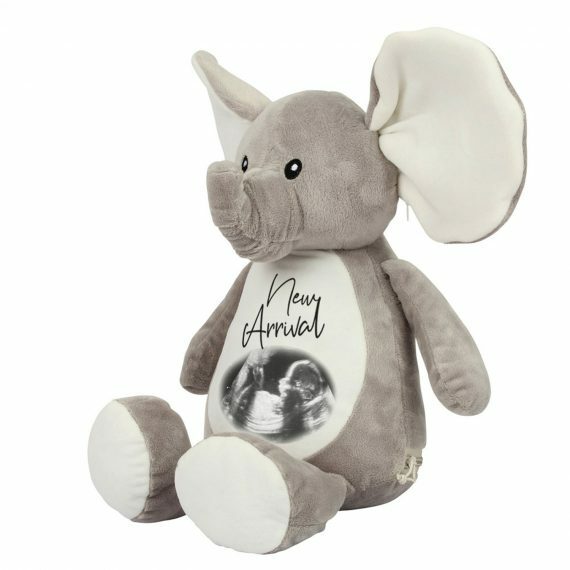 They are perfect for Baby Showers and also make a lovely keepsake to treasure beyond the new arrival. Our bags have 60 cm straps which are ideal for being carried by hand or over the shoulder and boast an impressive 30 litres capacity meaning they can carry all the essentials. Made by Hand by our “Best at Bespoke Team” – exclusively in the UK from the finest materials. 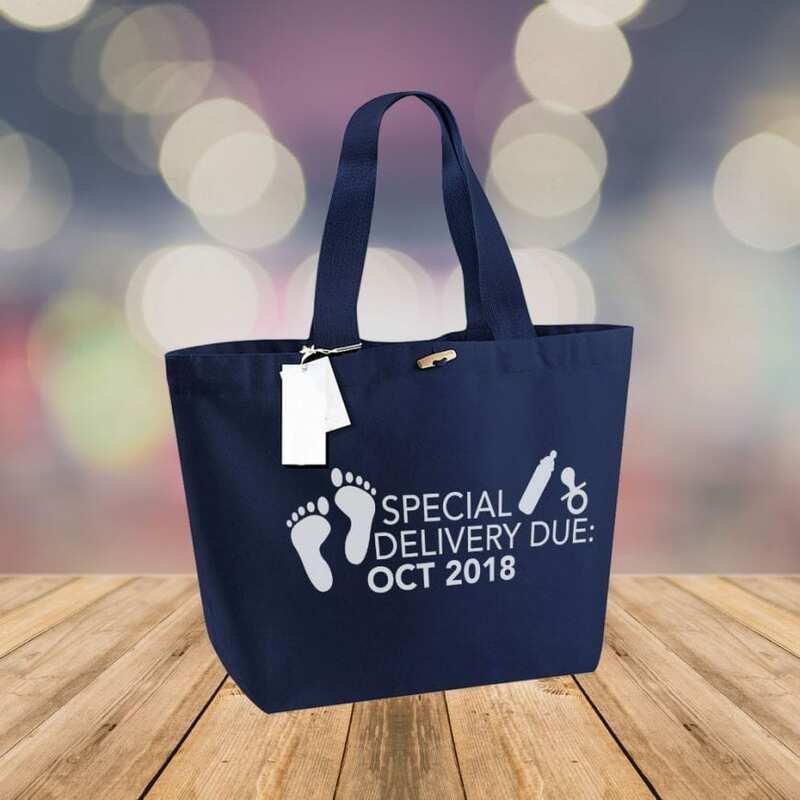 Custom printed with your due Date added!!! 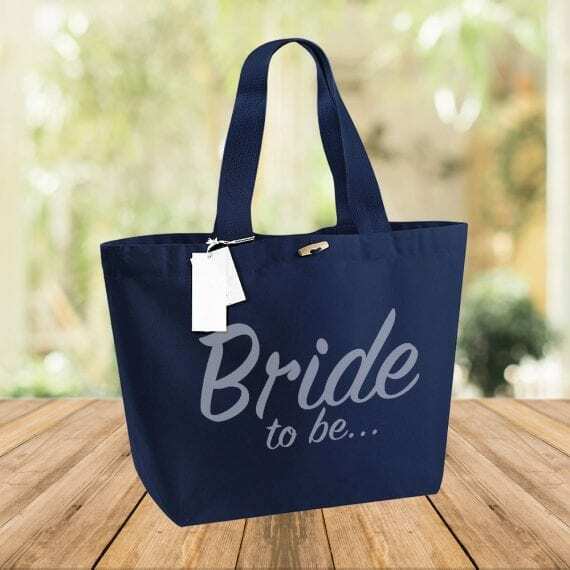 Bag – available in a navy colour | Print – with a white decal finish. Fabric: 100% Organic Cotton Canvas – 340gsm (10oz/yd²) Size: 40 x 39 x 19 cm. Care Instructions: For bags with colour print: hand wash and do not iron printed area. For bags with glitter print: Please do not wash.